A great choice for anyone who loves gambling on the move! 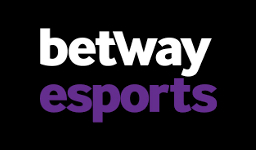 Navigate quickly with an awesome design and find a fully packed library of exciting eSport matches to bet on! The amount of markets are a bit limited, but the number of matches covered is fantastic and you’ll find all the popular eSport games to enjoy! Secure your profits with the interactive cash out option and increase them by buying bonuses from the rewarding player point shop! Like casino games on the side? Enjoy a huge amount from all the best game providers! Grab your welcome offer and start placing with Mobilbet now or continue reading the full review below to find out everything about them! As a German player signing up with Mobilebet you are able to receive a 100% deposit bonus up to €100. This also comes with 25 free spins on the slot Starburst. The minimum deposit to activate the offer is €10. The wagering requirement is set to 7 times the received bonus + deposit on odds 1.80 or higher within 30 days. Mobilbet offers all Norwegian players a generous 50 NOK free by just signing up! In addition to this you can choose a deposit bonus of 100% up to 2000 NOK or a bonus of 500% up to 500 NOK. For the deposit bonuses, bonus + deposited amount must be wagered 8 times on at least one single selection of odds 1.75 (1.80 for 100%) or higher within 30 days. The free money needs to be wagered 10 times on at least two selections of odds 1.80 or higher. As a Swedish resident, Mobilbet offers you a 300% deposit bonus up to 600 SEK. By depositing 200 SEK another 600 SEK will be added as bonus money. 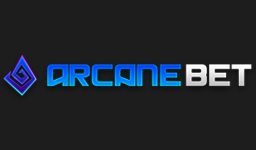 On top of this you will also receive 25 free spins on Mega Fortune Dreams for just creating an account. Bonus + deposited amount must be wagered 8 times on at least one single selection of odds 1.80 or higher within 30 days. As a new player from Finland, you can either choose to deposit €20 and receive €60 extra or to get a 100% bonus up to €300, which will also earn you 50 free spins on Twin Spin. Bonus + deposited amount must be wagered 8 times for both of the bonuses. This must be done on at least one single selection of odds 1.80 or higher within 30 days. 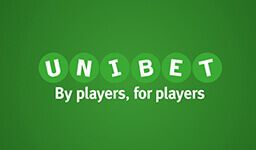 As a new registering player to Mobilbet, all UK players are entitled to a £10 free bet. To qualify for this free bet a single bet of at least £10 needs to be placed on odds 2.00 or higher. Once the bet has been accepted, the free bet will be credited to your account within 24 hours. Please note that there are other terms and conditions that apply for the offer as well. For other countries than Sweden, UK, Norway, Germany and Finland (as well as excluded countries), Mobilbet offers a deposit bonus of 200% up to €30. If you deposit €10, Mobilbet will add another €10 to that deposit which will give you a total of €30 to bet with. Bonus + deposited amount must be wagered 5 times on at least two selections of odds 1.80 or higher within 30 days. When it comes to eSports, Mobilbet is doing a pretty good job with the coverage. We would like to see some more markets offered as it’s usually only match winner, handicap and over/under total score, but when it comes to matches they do cover a lot of them going down from most of the different eSport games. With a good looking design and easy navigation, Mobilbet is overall a good site well worth looking into. If there was one thing we would really like to change apart from having more markets offered, it would be to have their customer support available 24/7. Unlimited free withdrawals would also be a nice addition as currently you can only have four free per 30 days and then an adiministration fee of 5€ applies on each withdrawal. At Mobilbet withdrawals rarely take any longer to process than 24 hours. It’s also pretty common that they are being processed just after a few hours of the request being made. This is however depending a bit on what time of the day you requested your withdrawal. All in all it’s safe to say Mobilbet provides fairly good withdrawal times. When it comes to settling of bets, these are usually settled within 5-15 minutes of the match ending. This is regardless of being a live or pre-match bet. If you have been waiting longer than 15 minutes, you can contact the support to have it looked into. With about 550 different slots from 10 different game providers, it’s safe to say that Mobilbet offers a pretty good casino! Even though the majority of the slots are provided by Microgaming, NetEnt, Play’n GO and Playtech, it’s great to see that they also offer a few games from a provider like Williams Interactive, which is otherwise not always that commonly seen. Another nice aspect of Mobilbet’s casino is that they allow you to filter games by game provider. Apart from the many slots being offered, Mobilbet also have you covered when it comes to table games as they have a wide selection of different roulettes, blackjacks and offer other table games such as Baccarat, Casino Hold’em and many more as well. In addition to this they also have a nice selection of video pokers and a few different rooms of live casino. Should you be a fan of scratchcards and bingo, they have a small selection of this as well. Argentina, Austria, Bosnia, Brazil, Canada, Finland, Germany, Iceland, India, Indonesia, Malaysia, Nigeria, Norway, Sweden, Switzerland, UAE, UK. Croatia, Curacao, Czech Republic, France, Hungary, Ireland, Netherlands, Poland, Portugal, Romania, Spain, Turkey, USA. Albania, Armenia, Australia, Bulgaria, Croatia, Denmark, Israel, Italy, Lithuania, Philippines, Russia, Serbia, Tunisia, Ukraine, Uruguay.